Estate agents Knight Frank have published the ‘Global Lifestyle Review’ and Dubai has come out top for global living and expat lifestyle. The review looked at four categories of expat life: education, climate, leisure and restaurants. Good scores were needed in all categories to find the top ranking locations. In join second place in the report were Mallorca, Geneva and the Cayman Islands. Cyprus came in at third place. The study also looked at three different types of expat: the family, the entrepreneur and the retired couple and their varying needs and requirements when living abroad. Auckland was rated the highest for both entrepreneurs and retired couples due to the ease of travel, stable political climate and high level of personal security. Geneva was rated first for expat families. Dubai also scored highly in another survey, the NatWest International Personal Banking Quality of Life report. The emirate was named as the third most popular destination for British expats due to increasing employment opportunities in the city. Dubai has been slowly climbing the rankings over the last few years and beat competition from other popular expat destinations such as Hong Kong and Singapore. Many expats from around the world live in Dubai so it is often described as a cultural melting pot. As a key international centre and travel hub, it can offer many new and exciting experiences to new arrivals. The climate is appealing to many British expats in search of year round sunshine and hot weather. A tax-free lifestyle is of course a draw for many as well as career opportunities and development. Although cost of living in Dubai is expensive, generally high expat salaries can often make up for this. 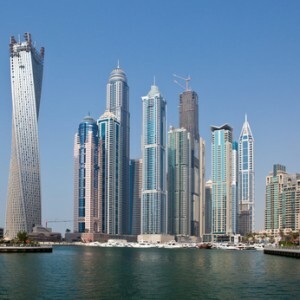 Dubai is gradually becoming more and more popular as a destination for British expats. Many assignments are often temporary, two years is very typical for example. It is easy to see why this destination is increasing in popularity. Two years still provides ample time to explore a new city and landscape whilst achieving financial and careers benefits. Dubai was also rated the best place in the Middle East to raise children to good news for families moving to Dubai with children. Dubai was placed in 13th place worldwide in this category also.